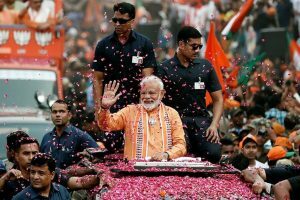 Prime Minister Narendra Modi saluted the people of the rain-ravaged Kerala for their “fighting spirit” and said today the nation stands firmly with the state in this hour. Kerala Governor P Sathasivam and Chief Minister Pinarayi Vijayan and Union Minister K J Alphons accompanied the prime minister during the aerial survey. 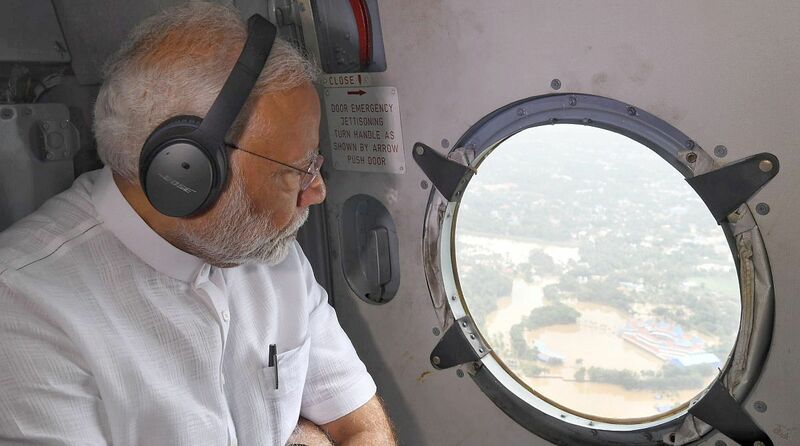 “I salute the people of Kerala for their fighting spirit… the nation stands firmly with Kerala in this hour,” Modi said in a series of tweets after chairing a high-level meeting to review the flood situation. “My thoughts are with the families of those who have lost their lives due to incessant flooding across Kerala. I hope the injured recover at the earliest. We all pray for the safety and well-being of the people of Kerala,” he tweeted. Modi also complimented the authorities for their efforts in the adverse situation and appreciated the wide support and solidarity extended by people from across the country for Kerala during the “unprecedented” situation.